This is the shocking moment a cyclist miraculously escaped with his life after a car driven by a 13-year-old joyrider ploughed into him. 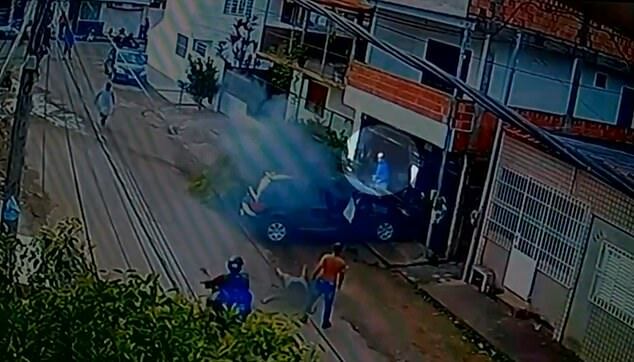 The cyclist is thrown onto the hood of the vehicle which crashes through a tree in its path and slams into garage doors of a house in Rio de Janeiro, Brazil. 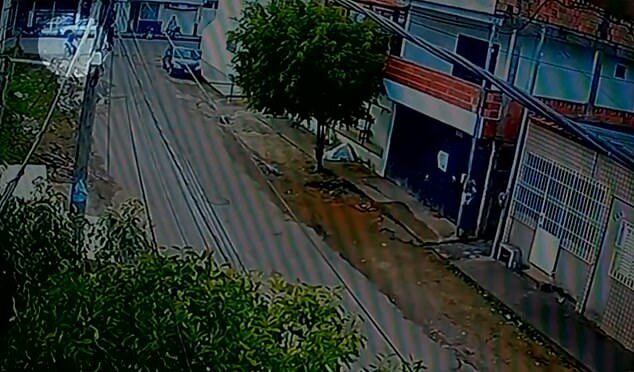 The 52-year-old cyclist, who was pinned beneath the bonnet, surprised witnesses by crawling out from under the smoking wreckage and walking away with just cuts and bruises. 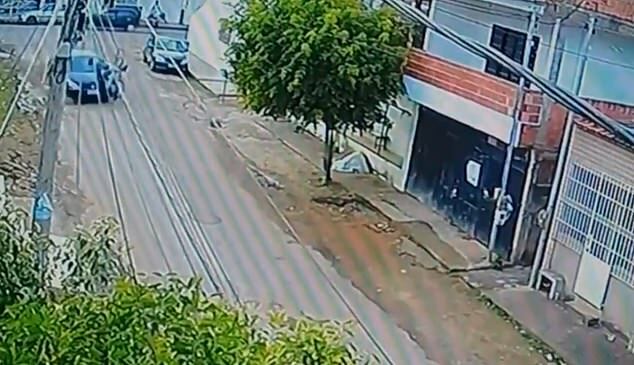 Security cameras captured the moment the unnamed cyclist enters a street in the neighbourhood. 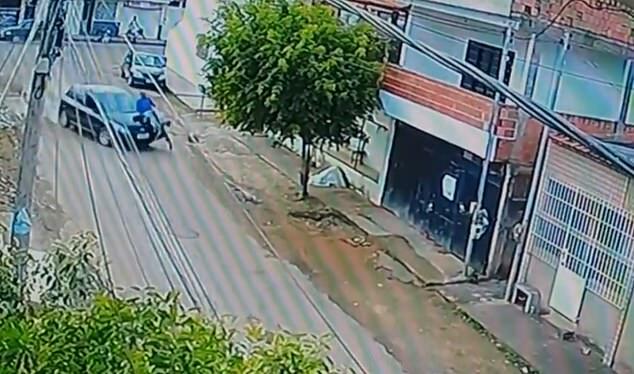 Seconds later, a car swerves around the corner and slams at full speed into the bike causing the shocking crash. After the crash, the driver’s door is flung open and the reckless teen staggers from the car, dramatically collapsing on the ground. The girl appears to pass out and fall flat on her back after clambering free from the smashed up car as shocked onlookers rush to the scene. The cyclist and his bike are trapped under the car and the crashed vehicle has starts to dangerously billow smoke. But to everyone’s surprise, the dazed victim’s head suddenly pops up at the front of the wreck and stands up after crawling out from underneath the bonnet. Police allege the teenage driver had been at home alone and had stolen her parents car to take on a joyride. The youngster has been charged with dangerous driving, culpable bodily injury and driving without a license. Both the teenage girl and cyclist were taken to hospital and underwent treatment for minor injuries.